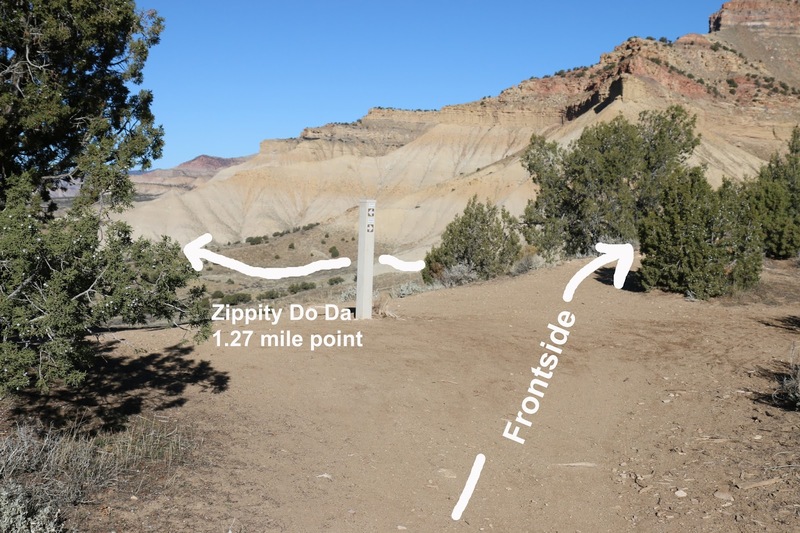 The Frontside trail is located in the North Fruita Desert Area, at the end of 18 Road, about 8 miles northwest of Grand Junction, Colorado. The area is popularly referred to as '18 Road'. Working with various groups in the area the BLM has set aside various sections of the land for ATV use and mountain biking. The trail area at the end of 18 road is open exclusively to hiking, mountain biking and some equestrian. There is a campground with vault toilets and about 35 camping spots equipped with picnic tables and fire pits that go for $10/night. 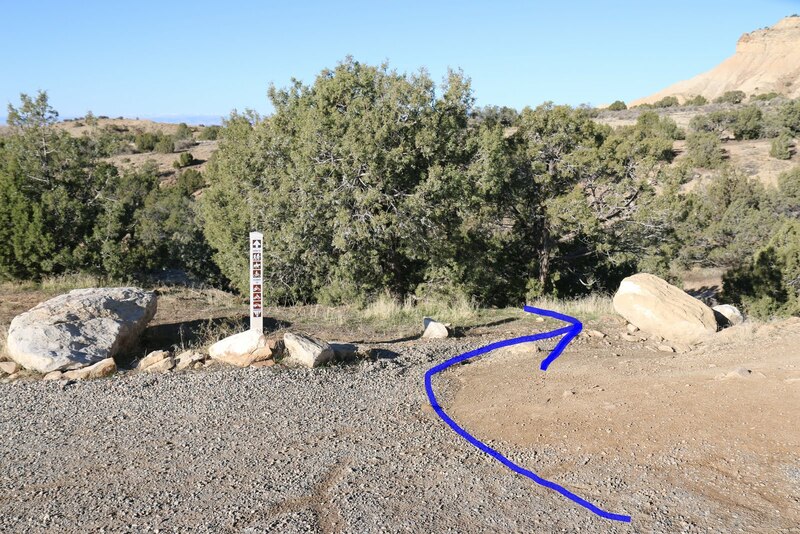 Some primitive campsites across from the North Fruita Desert trailhead are available free of charge. The 18 Road trailhead is past the North Fruita Desert Trailhead at the end of 18 Road near the campground. 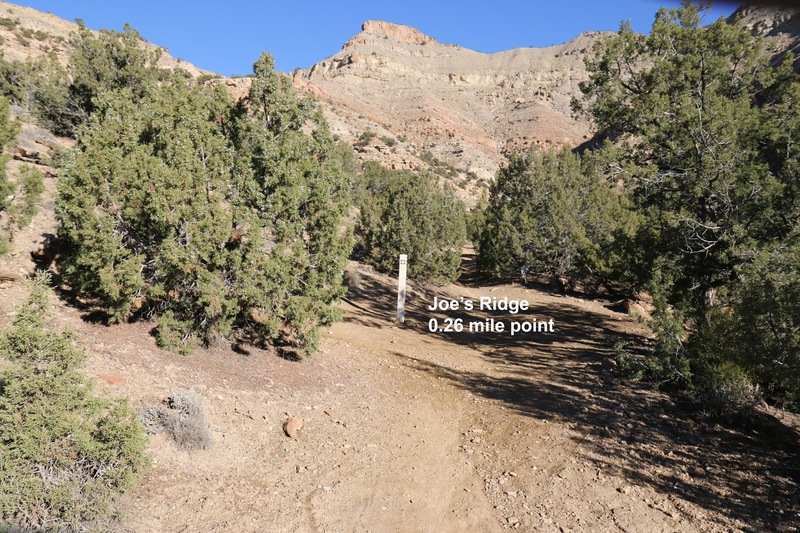 Many riders park at the North Fruita Desert trailhead and ride the Frontside trail in conjunction with other trails like Prime Cut and Western Zippity. Follow the road from the trailhead as it loops around into the campground. The Frontside trail begins on the right before reaching any of the campsites. The trail starts out heading up the drainage towards the Little Book Cliffs. At the quarter mile point from the trailhead Joe's Ridge branches off on the left. The trail does a little bit of climbing after it passes the turnoff for Joe's Ridge. There are a couple of rocky spots but nothing too technical. After the little climb the trail levels off and begins racing westward crossing small washes and creases as it goes. 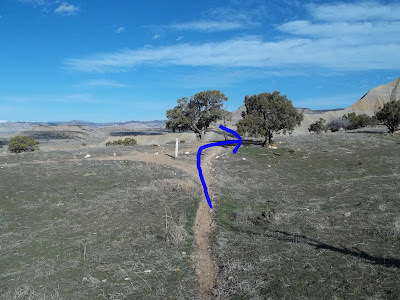 The next stretch of the trail travels around a nice adobe hillside where it finds a hogback to descend. The workout continues as the trail once again begins regaining its lost elevation. At the 1.27 mile point from the trailhead the Zippity Do Da trail breaks off on the left. From there the Frontside trail heads north along the crest of the ridge. Off in the distance below the ridge the Frontside trail can be seen traipsing around the hillside toward Western Zippity. 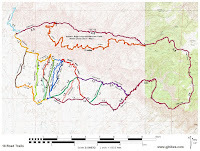 The trail makes a big drop off of the ridge and lands in a narrow wash that it follows for a short distance. After climbing out of the wash the trail continues along an easy dirt track with another wash or two to cross. A bit more of a climb comes up for the trail to get up to the junction where the Western Zippity trail begins. At this point the Frontside trail makes a right turn and follows the ridge back toward the cliffs again before making another descent down a moderate slope. From there the trail continues around the base of the hills, climbs over another ridge, and crosses a couple more small gulleys. It all comes to an end when the Frontside trail meets up with the road that goes up Coal Gulch. If you are riding the Edge Loop or the Sarlacc trail you have a few miles of easy riding to look forward to. 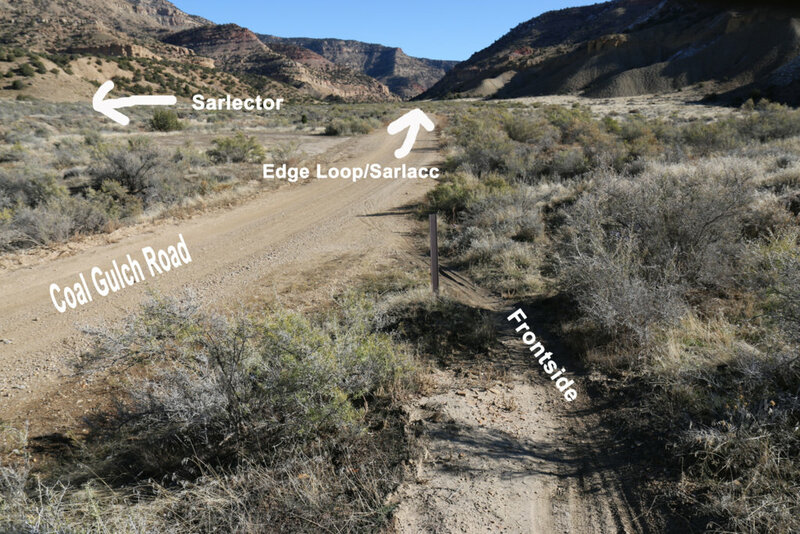 The Sarlector trail begins on the left about a tenth of a mile from this point. For this trip we turned around and rode back the way that we came. 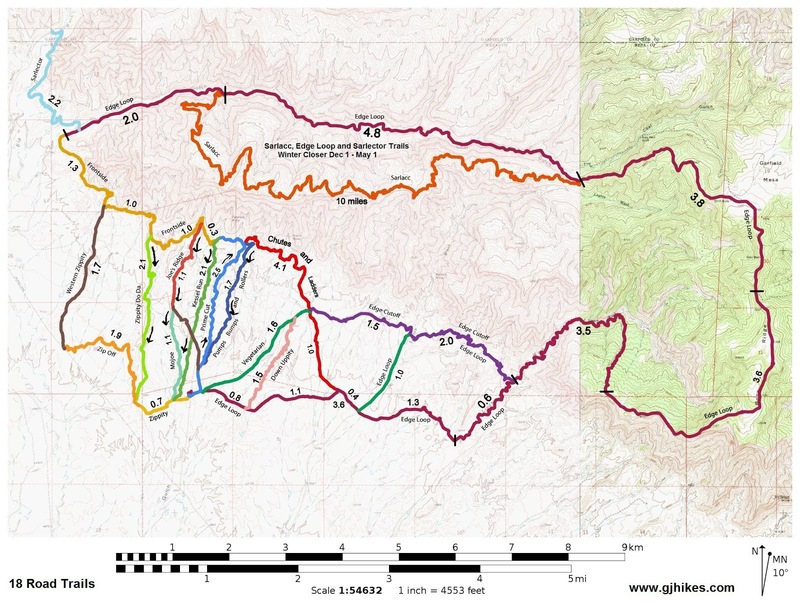 The elevation gain is quite a bit more riding in the direction from Coal Gulch to 18 Road. It takes the overall elevation gain well over the 1,000 foot mark. A couple of the hills take a Herculean effort to ride all the way up. 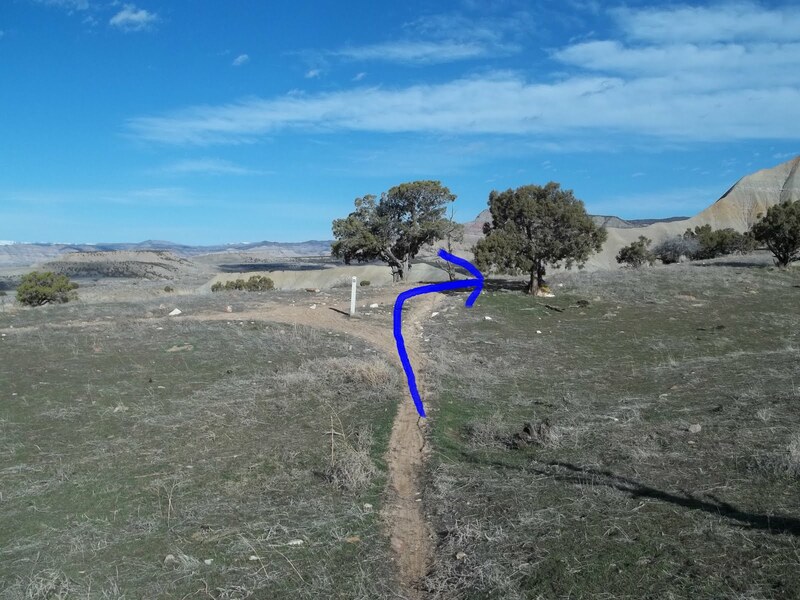 The Frontside trail is a good workout whether you are hiking, mountain biking or trail running. We have done all of the above more than once over the years. Segments of the trail are vital for reaching Joe's Ridge and Zippity Do Da which are both downhill routes. 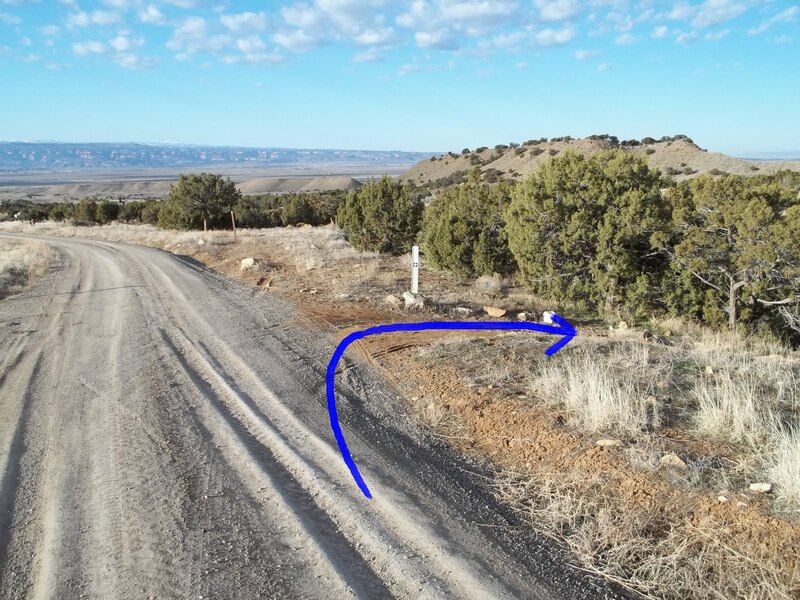 It is also an important part of the 28 mile long Edge Loop. If you would like to see it for yourself then all you have to do is grab your bike or 'Take a hike'.